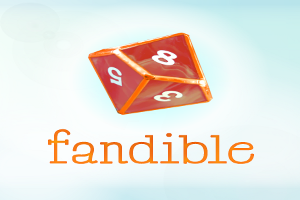 Season’s greetings, Fandible faithful, pervy kobolds, and assorted denizens of the web, and welcome to the first annual Fandible Holiday Gift Guide! Xmas is fast approaching, and you may be wondering what to get the Fandible-obsessed person in your life. Well, wonder no more, because we’ve put together a list of utterly spellbinding gifts guaranteed to brighten up anyone’s winter. AwesomePants: You too can feel like the captain of your very own multi-kilometer long space fortress when you’re wearing a pair of Royal & Awesome’s Men’s Pants (also available for women!). 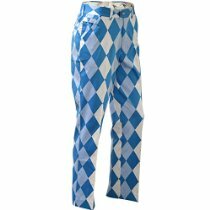 Nothing says ‘why yes, I would like some corpse crackers with my cabernet’ like the bold colors, flattering lines, and eye-catching patterns of your very own pair of AwesomePants. Nails: Never leave the surface world without them! Incredibly valuable in certain parts of the Hollow Earth, this variety pack of nails contains enough wealth to set you up as a minor warlord, if you play your cards right. Use them to trade for radios, construct crude shelters, or attempt to ward off the man-eagles. 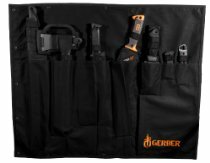 Gerber 30-000601 Zombie Apocalypse Survival Kit : Sure, other zombie survival kits include such luxuries as ‘food’ and ‘water’, but other zombie survival kits don’t have to contemplate a world filled with ravening Super-Z’s. The Gerber 30-000601, however, knows what’s important when the zombies have super-powers: weaponry. Lots and lots of weaponry. With 3 knives, an axe, and not one, not two, but three different machetes, all in a convenient reinforced nylon carrying case, you’ll be ready to face down The Patrician himself. Thames & Kosmos Biology Genetics and DNA: No child is too young to start learning how to play God with the building blocks of life itself. Give one of the children in your life the chance to follow in Dr. Israel’s footsteps with this kit, which will teach them how to isolate genetic material, build DNA models, and breed potentially world-dominating bacteria. It’s the first step towards creating something that your child will be proud to call ‘a hideous affront to the laws of man and nature’. A $200 prepaid credit card: Whether you go with Visa, MasterCard, or American Express. Never leave home without the confidence of having about $200 for any bail-related situations that may pop up. Because they will.